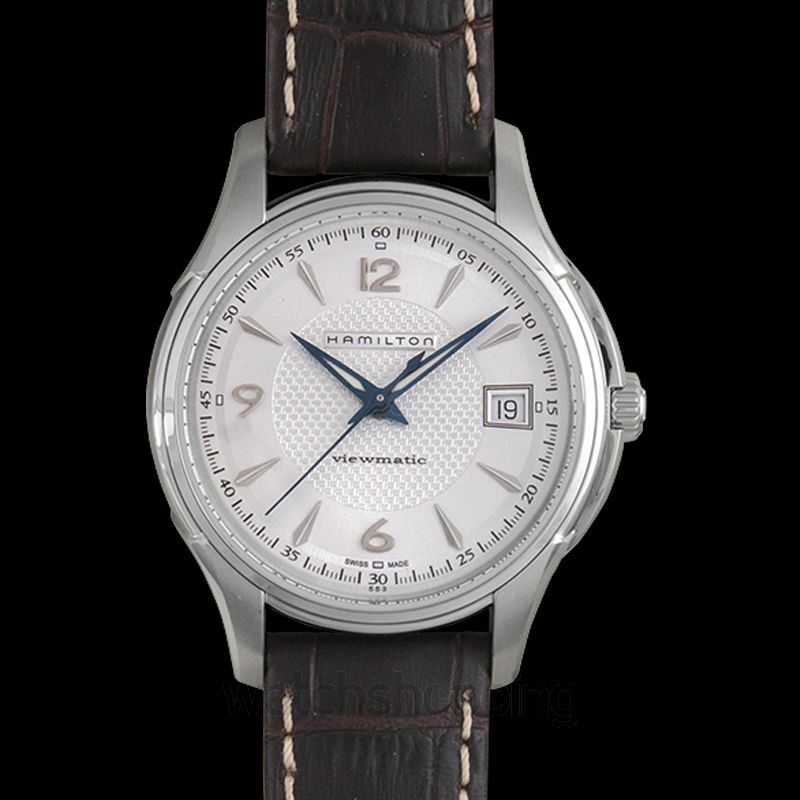 The Hamilton H32455557 is a Jazzmaster viewmatic men's watch. 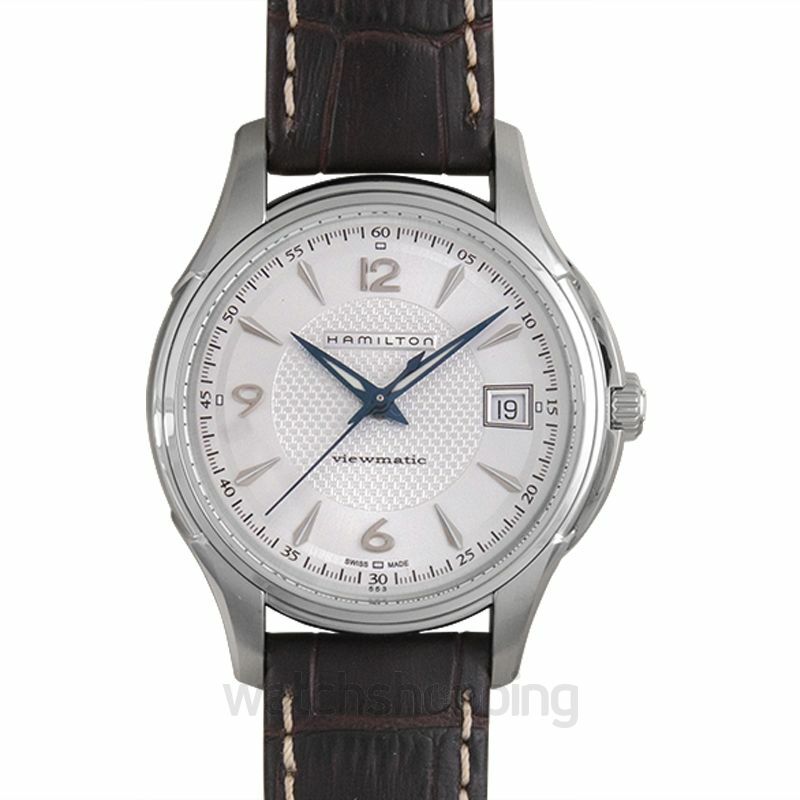 It comes with a silver dial that features silver-toned stick and Arabian-type indexes. 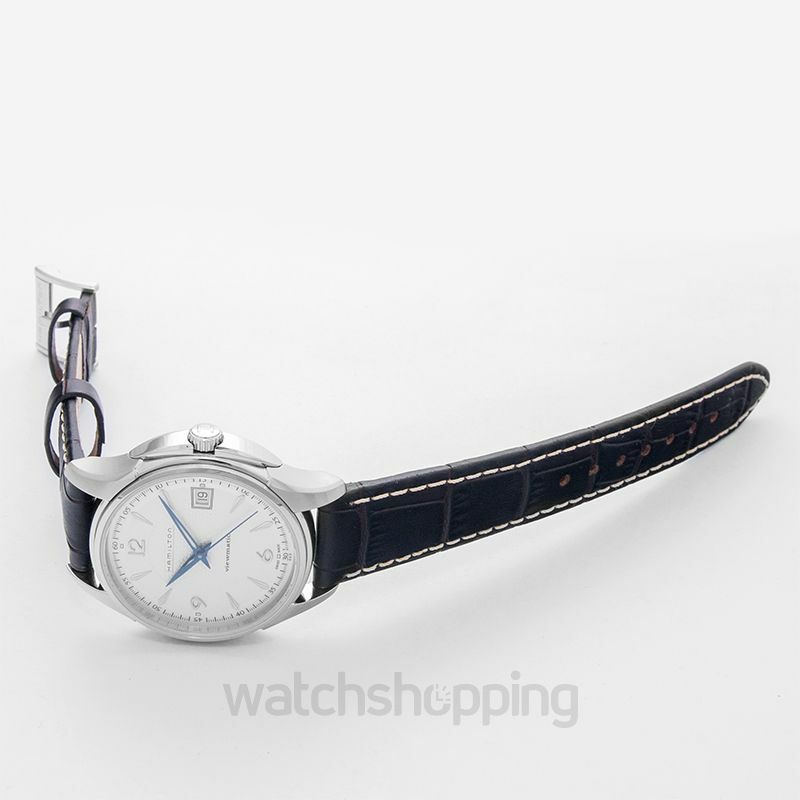 The dial also has a date section at the 3'o'clock position. 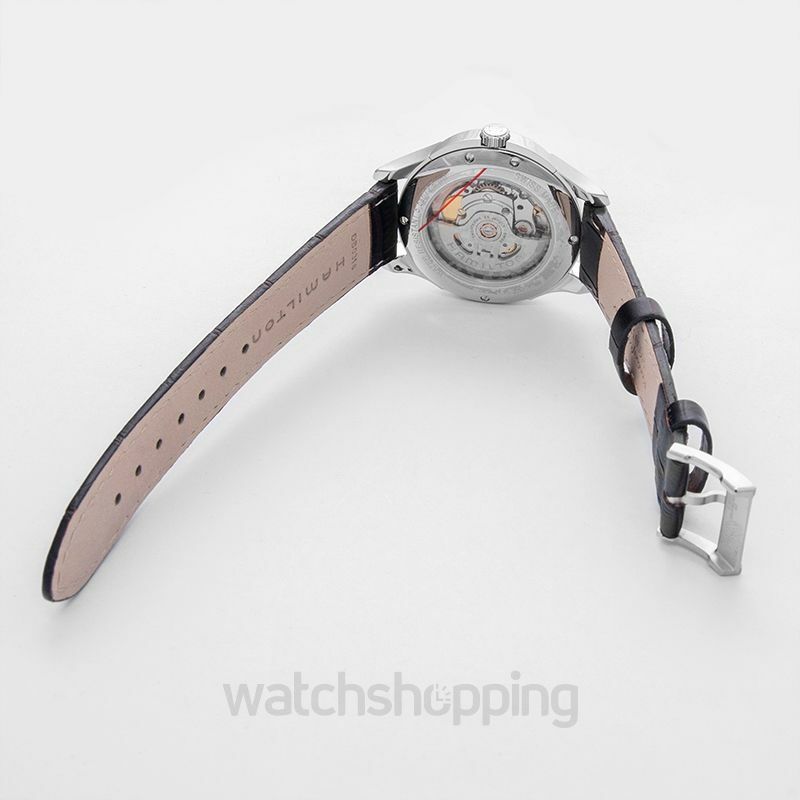 The watch is encased in stainless steel. This material ensures the durability to last beyond the warranty life of the watch. The sapphire crystals keep the glass scratch-free with the course of time. The caliber of the watch is automatic, and the reserve may last up to 38 hours in total.